Most commonly used for pain relief as well as sore muscles and joints, the Thermotex Therapeutic Horse Hood has fantastic benefits. 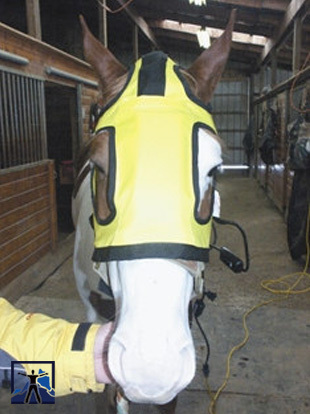 The therapeutic hood has a 3-inch wide by 8-inch long pad that fits directly over the frontal sinuses of the head and the same size pad that fits directly upon the ventral portion of the throat. See the additional information tab for instruction on it’s use. 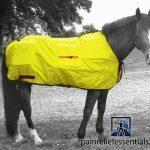 The Thermotex Horse Hood will remove lactic acid build up in your horse’s muscles, help to remove soreness from injuries, help reduce sinus inflammation, and the infrared therapy will even help remove joint inflammation caused by arthritis. You’ll find that the therapeutic horse hood will act as a diuretic for bleeders and will also remove sinus congestion. It will also reduce lactic acid levels. 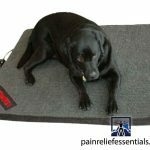 Because we have this product shipped to you directly from the manufacturer, we are able to save on inventory costs and offer the lowest price available including shipping. The hood is shipped to you direct from Alberta, Canada, by DHL Air. For delivery in the United States your package will normally arrive within 2 to 3 business days. 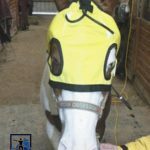 How Does the Infrared Heat Therapeutic Horse Hood Work? The advanced technology utilized by Thermotex™ Equine Therapy Systems delivers a relaxing and deep, penetrating heat right where it is needed most. 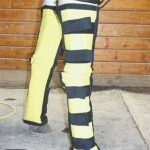 Using infrared therapy in this horse hood increases hemoglobin 25% to 28%, helps relieve sore muscle and pain from arthritis. 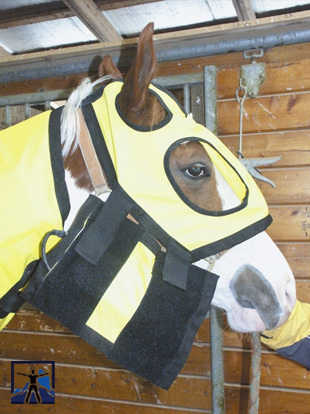 Sorry, the Thermotex Therapeutic Horse Hood is not eligible for discount coupons. Secure the patient's head by tying it up or placing the animal in cross-ties. Brush any dirt from the head and loosen the halter one or two notches. Pre-warm the appliance by plugging it in and placing it on the high setting for a few minutes. Fasten the hood comfortably on the patient using the Velcro straps. Turn the switch to the high setting for the initial ten minutes of infrared therapy. Watch the animal closely for any signs of fear or discomfort from the hood being too snug. 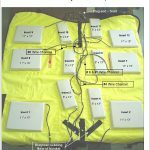 After the initial ten minutes of infrared therapy, turn the heat to the low setting and maintain this setting until the therapy session is completed. Disinfect the inside of the hood after each use and allow it to dry completely before storage.